SETsquared Bristol has this week announced its members raised a combined £82.1m in 2018. The global #1 university incubator has over 80 active members who have collectively created £43.5m in revenue in the past year. What’s more, SETsquared Bristol ventures have created 1,090 jobs in the city region, and efforts to increase the diversity of founders in the incubator have continued successfully. In 2018, 26 SETsquared Bristol members secured funding to support business growth and further the development of their tech. Some of the biggest successes of the year have been Ziylo, who sold rights to their glucose binding molecules to Danish pharmaceutical giants, Novo Nordisk, in a deal potentially worth up to $800m, and Ultrahaptics, who raised £35,000,000 in an oversubscribed Series C fundraising round. 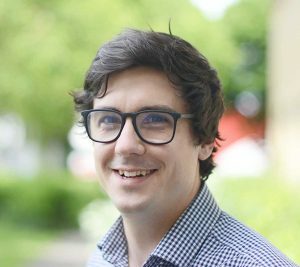 Some of SETsquared Bristol’s earlier stage startups that recently began seeking investment also achieved success in 2018, including KETS Quantum Security who raised over £2million, Good Sixty who crowdfunded £188,650, and LettUs Grow, who received £1m in a fundraise combining grant and equity investments. Following a report by research partners ACH and Up Our Street, published in 2018, SETsquared Bristol has been working towards implementing key recommendations to diminish the barriers faced by individuals from Black, Asian, and ethnic minority (BAME) backgrounds in accessing business support. This has included a marketing audit carried out with the help of The Social Detail, and running the popular #Idea2Pitch workshops in community venues to attract a wider audience and strengthen relationships with local organisations. 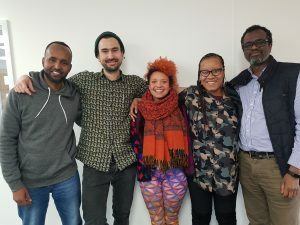 SETsquared Bristol will continue to implement further recommendations from the research, and is dedicated to increasing access and visibility of their services to BAME tech entrepreneurs. SETsquared Bristol’s commitment to diversity and inclusion also means that they champion female founders and women in tech. The incubator has seen an incredible 150% increase in female founders in just three years, with 23% of companies being led by women in 2018. In 2018, SETsquared Bristol was proud to support the six members of Oracle Global Startup Ecosystem’s second cohort, including Sauce Video, Snap Tech, We Build Bots, and ELEM, who joined SETsquared on a one-year membership. 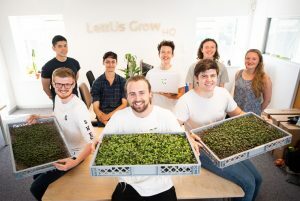 Existing SETsquared Bristol members, LettUs Grow and Gapsquare, were also accepted onto the cloud acceleration programme. What’s more, LettUs Grow won ‘Best Elevator Pitch’ at the Tech-Xpo showcase in June. For more information about SETsquared Bristol or to join its membership, please visit www.setsquared-bristol.co.uk. To keep up-to-date with SETsquared Bristol news, subscribe to the monthly newsletter here. Subscribe to the monthly newsletter to hear news and updates from SETsquared Bristol, as well as catch up on our member news, events, opportunities and more!